If you are looking for the best extrude honing provider in the country, Extrude Hone AFM is it. Don’t believe us? Keep reading for four reasons why you should trust Extrude Hone AFM with your abrasive flow machining needs. Extrude Hone AFM has over 48 of experience. First things first, Extrude Hone AFM have over 48 years of experience. Abrasive flow machining was first patented in 1970 by Extrude Hone Corporation, but we’ve been in business for almost just as long! What that means, is that you can always trust Extrude Hone AFM with your extrude honing needs. No matter how big or small a project is, our expert team will get the job done. Extrude Hone AFM works across a variety of industries. The great thing about Extrude Hone AFM is that we aren’t locked in on one industry. Over the years we’ve been in operation, we’ve expanded our service offerings and can now provide extrude honing services to additive manufacturing, aerospace, automotive, EDM recast removal, food processing, hydraulics, medical, and turbine industries. No matter what the job entails, when it comes to extrude honing, we’re the best in the business. Extrude Hone AFM has a completely customizable process to meet your needs. At Extrude Hone AFM, our abrasive flow machining process is entirely customizable to your needs. The rate at which materials are removed from the surface is determined by the type of material, hardness of the material, density of the material, size and amount of passages to be processed, and you. That’s right. You control the process by dictating your exact specifications. We will then rely on our 48 years of experience to select the appropriate flow rate, pressure, volume, and other factors, to ensure we meet your specifications. Extrude Hone AFM offers services across the country. 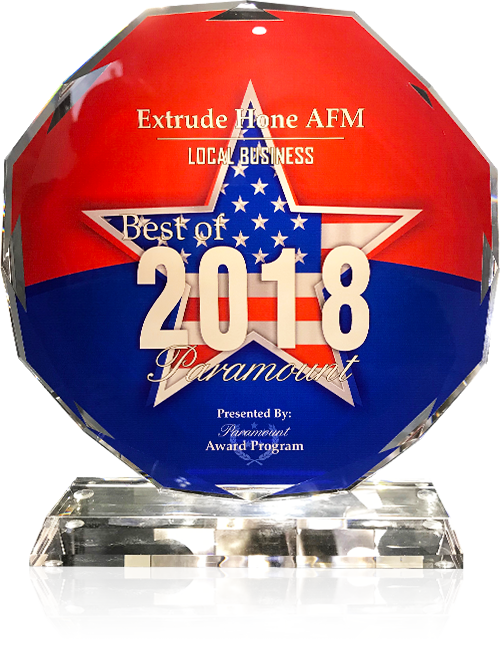 Finally, if you’re still not convinced that Extrude Hone AFM is the best extrude honing company in the country, consider this: we offer services throughout the entire country. That means whether you’re working in a remote corner of Utah or in a bustling city like New York or Los Angeles, you can still take advantage of the services that Extrude Hone AFM provides. Turn to Extrude Hone AFM for all of your abrasive flow machining needs! So, are you looking into extrude honing and want the best AFM provider on the market? Well, look no further than Extrude Hone AFM. We have been in the business since 1971 and have the knowledge and experience that you need to get the job done right. From aerospace equipment manufacturers to automotive technicians, if you need an abrasive flow machining service provider, you need Extrude Hone AFM. Our expert staff can handle any size job and we’ve been doing just that for over 48 years. For specific information or to request a quote, please call us at (562) 531-2976 or shoot us an email at info@extrudehoneafm.com. Our knowledgeable team looks forward to working with you on your project!